How you can contact us about our privacy practices. In any one of our events. We may collect certain information about your usage of our website, or your device, when you visit our website or interact with our email or online advertising, as well as information about your usage and browsing habits. Any other personal information that you voluntarily provide, including information you provide when you create an account, purchase our services, or contact us. You may always choose to exclude any personal information publicly, such as comments, testimonials, reviews, editorials, forum or blog discussions, or critiques. We may also use third party analytics services, such as Google Analytics to help us analyze how visitors behave and use our site, emails, and advertisements. Your personal information collected through these services disclosed on their sites. On our advertisements, placed on third party websites. Some browsers offer a “Do Not Track” feature for you to turn on for websites not want to have your online activities tracked. We do not track your personal information about your online activities over any period of time or across any third party websites. Furthermore, we also do not authorize third parties to collect any personal information from you on this website for these purposes. We also may use the information in other ways we describe when you provide the information, or for any other purpose with your consent. 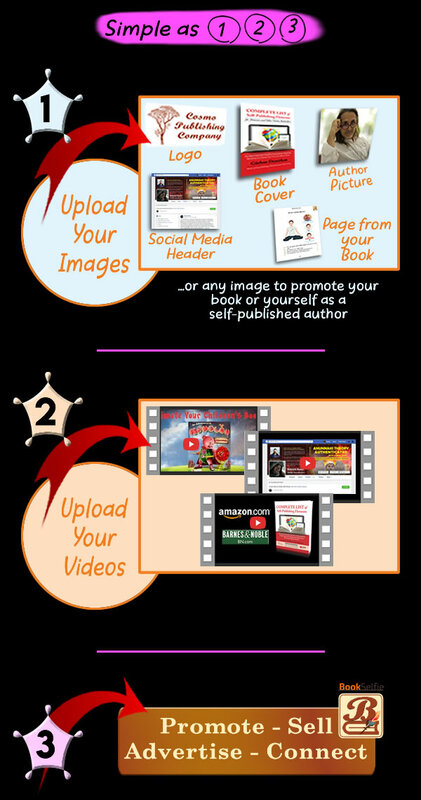 You can opt-out of our marketing communications by sending us an email at info@bookselfie.com with antitle; “Opt-Out”. However, this opt-out does not apply to our communications we send to you in relation to your transactions with us. Subject to applicable laws, you may have the right to request access to and receive details about you and update and correct inaccuracies in your personal information. However, we may not accommodate a request to change information if we believe the change would violate any law or legal requirement or cause the information to be incorrect. If you do not want to receive sales calls from us, you may personally call us and request to have your name placed on our Do Not Call List. We will remove your name from our active list within 20 days. You can also make this request by email at info@bookselfie.com with a title “Do Not Call”. Please include your full name, address, and telephone number(s). However, subsequent sign-ups or inquiries may lead to new record creations. You should never submit to us payment or tax information via email. If we have given you (or if you have chosen) a password for access to certain parts of this website, you are responsible for keeping this password confidential. We ask you not to share your password with anyone. Any websites linked from our website are not owned or controlled by us, and we are not responsible for the content of those websites. They may have their own privacy policies, as they are independently operate from us. We strongly suggest you review their privacy policies.